Navarathri is the time were lots of guests visit our home and we too visit our friend’s place. We generally serve some juice and light snacks to the guests. Since we go for multiple places we generally skip the dinner J. 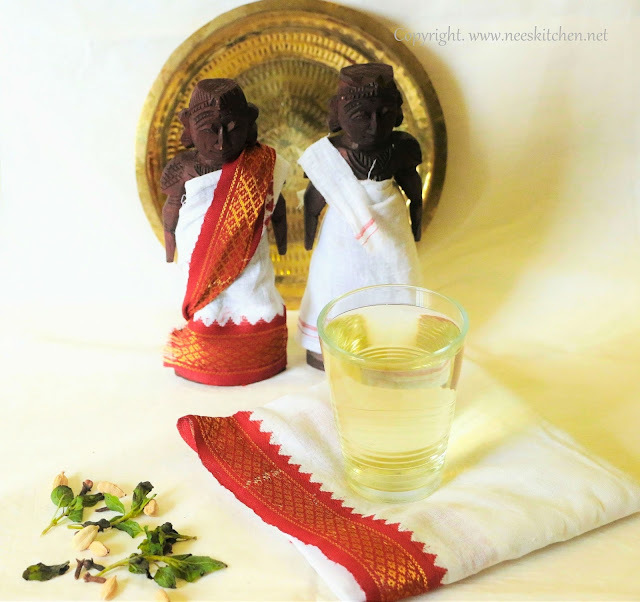 "Tulsi & Cardamom Water" Prepare this healthy Tulsi water for your visitors which is a mix of tulsi, cardamom and clove boiled and infused in water. I am happy that we are able to follow the custom of keeping Golu and visiting many of my friend's place in Singapore too. Many of my non-Indian friends too visit our place and admire the golu festival. Its also the time where my daughter too brings in all her friends home to see the golu which we all decorated together. With different age groups visiting our house we need one drink which would serve all of them and this one is the best. We no need to worry about catching cold, sugar levels etc. Just a cup of warm tulsi water is loved by all. This is not a time consuming or difficult drink and hence can be prepared and kept at ease. 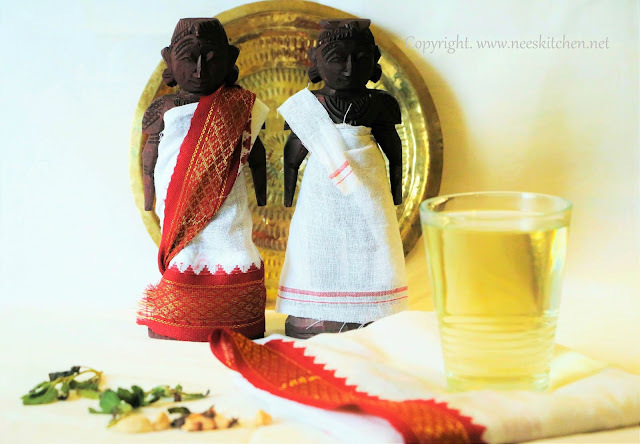 The cardamom smell would slightly override the tulsi but both complement each other on the taste. We cannot taste the clove in this water. Overall it’s a healthy drink loved by all age groups. 1. Take the leaves separately from the tulsi plant. Wash it thoroughly. 3. Take a pan add tulsi leaves, cardamom, clove and water. 4. Allow this to boil. Boiling should be around 10 minutes so that the essence will get infused. Switch off the gas after the water is well boiled. 5. Allow it to infuse in the water for another 30 minutes. 6. 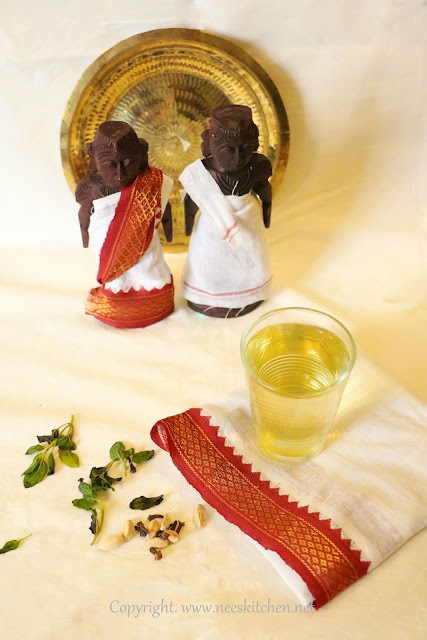 Filter the water by removing the tulsi leaves, clove and cardamom. 7. Store it in a water jug for serving.